Peter Finnegan has been the New Frontiers Programme Manager at Cork Institute of Technology’s Rubicon Centre since the programme’s inception in 2012. 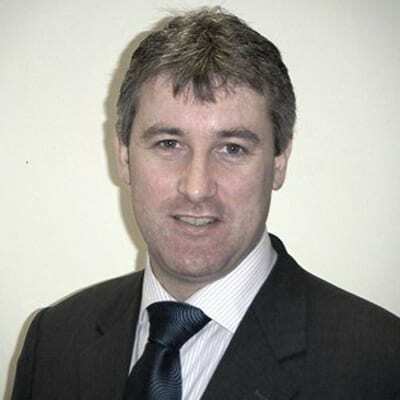 Before joining New Frontiers, Peter was Manager of Life Sciences Ireland, a division of the Irish Exporters Association. From 2005 to 2010, he was the Corporate Services Manager in Bahrain International Investment Park, a greenfield project and new departure in terms of industrial development and foreign direct investment in Bahrain. Prior to this, Peter was the Enterprise Development Manager in NovaUCD. He also acted as Training Programme Manager for CORKBIC. Peter has experience in the areas of enterprise development, business planning, business development and foreign direct investment. As a professional supporting entrepreneurs, Peter brings a very pragmatic approach to his dealings with companies. He understands the challenges that startup promoters face in the early stages of their entrepreneurial journey and feels that his ability to work with people and communicate expectations aligned to the evolving needs of the business is critical. Good Programme Managers are able to act in a project management capacity to ensure that actions are being completed within agreed timelines. Being able to empathise with promoters, particularly when they are going through difficult times, and providing impartial support are important skills that need to be utilised. I have always had an interest in entrepreneurship and having studied the area at third level my interest was further aroused. Working with startups is like attending a sporting fixture – you can never say with certainty what is going to happen next, each day brings new opportunities and challenges. As such, the startup arena is always evolving and every day is different. Although it is a challenging time for promoters, the individuals that you meet often act as a source of inspiration given their energy, enthusiasm and risk propensity. It is wonderful to see them secure their first trial, win their first commercial order or win an industry award. One recent success that stands out is that of Paul Brugger of TIC. TIC won second place at IATA’s Global Passenger Innovation Awards in San Diego last October for their innovative solution, BizTweet. I also worked closely with the company to secure their first commercial order with one of the world’s largest airports.